Wow. It has been a while since I have posted a comment about a book. I'm glad I really liked this one. Laurel Estabrook was the victim of a sexual attack in her sophomore year of college that changed her perception of life forever. Cycling used to be her favorite pastime before the attack, but she gave it up; instead she undertook photography and swimming as hobbies. She even parted with most of her college friends, except Talia. Laurel graduated from college with a Master’s in Social Work and went to work as a social worker for a homeless shelter called BEDS. One day, Katherine, the shelter’s director, gave Laurel the assignment of finding out the origin of some pictures found in possession of a former homeless man recently deceased. Laurel took the matter to heart and started to uncover the relationship between Bobby Crocker, the late homeless man, and the Buchanans of Long Island (Tom and Daisy Buchanan) and Jay Gatsby (all characters in F. Scott Fitzgerald’s The Great Gatsby). What seems at first a story of literary influence, ends up being something more; it is a story about pain, acceptance, forgiveness…The characters from The Great Gatsby populate this book and come alive; this book is enhanced by the other’s influence. 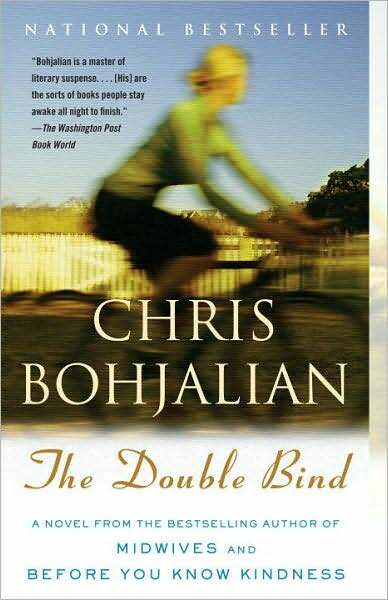 The first half of the book is easy to read, but nothing really seems to be happening, that’s because Bohjalian is getting ready to pull the rug under your feet without any previous warning. The last half of the book becomes engrossing, as Laurel’s history begins to meld with Crocker’s own history. I could hardly put the book down by then. The ending, which is hard to talk about without giving it away, took me by surprise, not only because I was incapable of anticipating it, but because it left me totally confused by in awe nonetheless.